Eco-assets are natural assets such as lakes, rivers, wetlands, aquifers, mountains, forests, riparian areas, estuaries and salt marshes. These natural features have considerable economic value and provide goods and services such as water purification, food production and recreation. Incorporating them in municipal planning together with human-built infrastructure – roads, water distribution, buildings and parks – contributes to a more healthy, desirable, and resilient community. 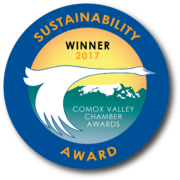 The Comox Lake Watershed is one of our most valuable eco-assets. In its natural state it provides us with clean, cold, fresh, potable water. Within the watershed there are also many eco-assets. Mountains and glaciers hold the snowpack which releases water over the summer. Rivers and streams carry rain and melt water to Comox Lake. Forests, ground cover, wetlands and ponds slow runoff from heavy rains and snow melt. Natural ground cover and undisturbed subsoils filter the water, maintain cold water temperatures in our lakes and streams, and recharge our aquifers. The K’ómoks Estuary Floodplain is an important eco-asset. Functioning floodplains disperse, store and convey flood water, reducing the number and severity of floods. 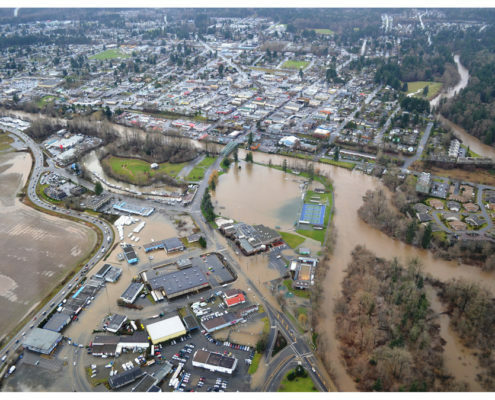 In Courtenay, the Comox Road restricts the flow of the Courtenay River and prevents it from utilizing the natural floodplain. If the river could access the floodplain, flooding events would be fewer and cause less damage. Naturally sloping banks and salt marshes within the floodplain are eco-assets that absorb and reduce the impact of high tides, major storms surges and sea level rise. If managed effectively these eco-assets will also provide timber, food, recreational opportunities, fish and wildlife habitat, clean air and carbon sequestration among other goods and services. The benefits from eco-assets and the cost savings in protecting and restoring them are substantial. 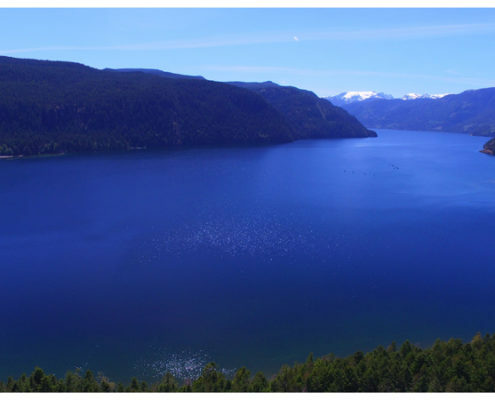 Thinking Like A Watershed – The first ever eco-asset symposium was presented in the Comox Valley by the Comox Valley Land Trust and Project Watershed. Over 350 people attended an evening public forum followed by a day of workshops that explored the many aspects of eco-assets and how to incorporate them into local government planning.It was a diverse crowd that included local, provincial and federal government representatives, members of the general public, members of stewardship groups, and local business owners. While many of these people were from the Comox Valley, about 30% were from different areas of the island and lower mainland. One representative even flew in from the Kootneys to be part of the event. “It was encouraging to see so many different people learning and working together on such a timely and important project.” commented Don Castleden, Project Watershed Director. To open the Tuesday evening session Tim Ennis, Comox Valley Land Trust Executive Director, introduced the idea of ecoassets using local examples. Then Bob Sandford, UN University Institute for Water Chair, illustrated the importance of valuing, preserving and restoring these ecoassests in the face of current global changes. “Your presentation was like a kick in the stomach” one audience member said of Mr.Sandford’s presentation, as it was a wake up call to the need for, and immediacy of, this kind of work for all life on earth. Mr.Sandford finished his presentation by showing that there is hope. Hope because of events like this that bring people together and motivate them to make the kind of big changes that are necessary. The symposium was fully supported by K’omoks First Nation and all local municipal governments – Courtenay, Comox, Cumberland and the Comox Valley Regional District – both in principle and financially. 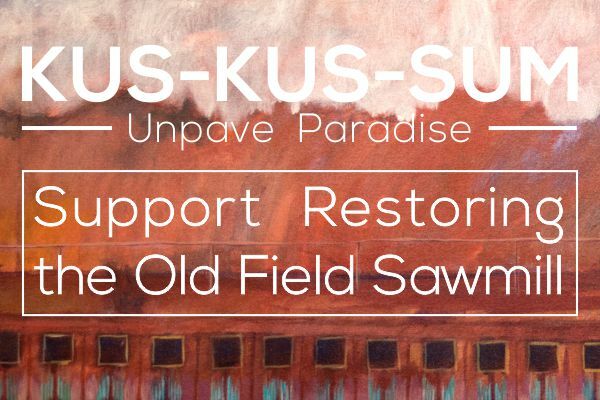 Visit the Comox Valley Land Trust’s website to access all the March Eco-Asset Management Symposium presentations, videos and tools.